Kids are special in our practice! 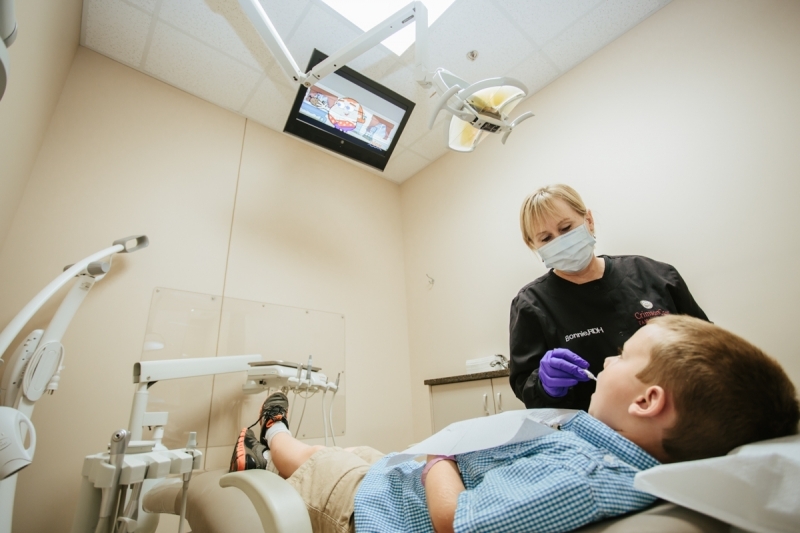 We believe it is important for their long-term health to give them a positive first experience in a dental office. 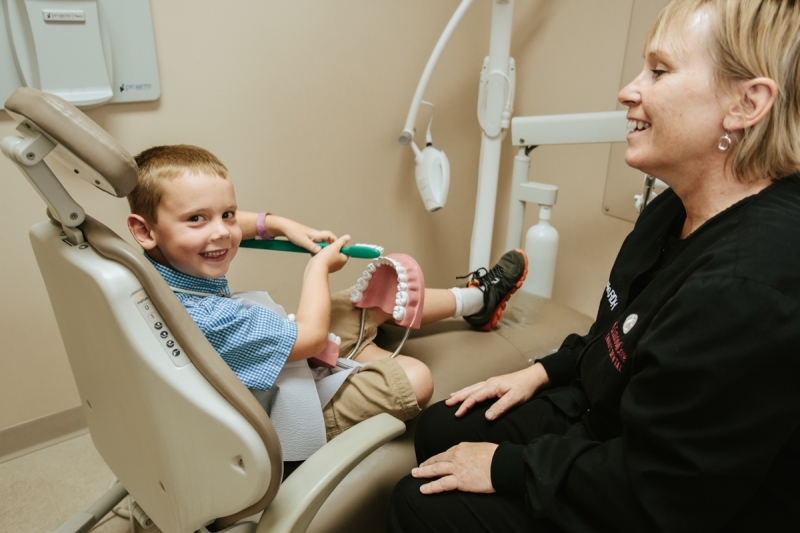 The American Academy of Pediatric Dentistry recommends that your child have their first visit to the dentist by their first birthday (or when their first tooth erupts). 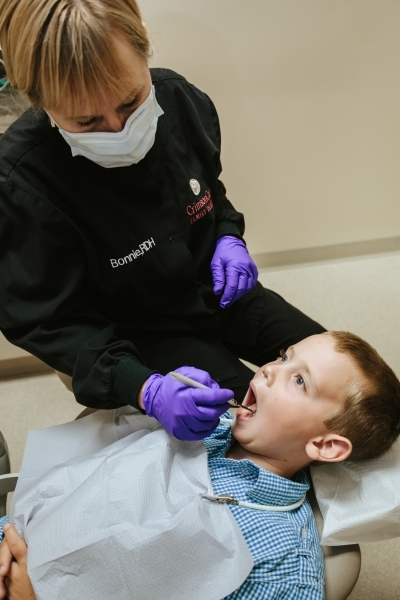 Research shows that early detection and good oral health care impacts their general health and can help improve their school readiness. In addition, children benefit from early exposure to the dental office because it alleviates unnecessary future anxiety about the unknown and allows us to establish a relationship for the future. Dr. Pink usually will have a discussion with the parents during their visit regarding children ages 1-3. 3 years old is when we usually schedule their first “real” visit unless there is a concern prior. When your child comes for their first “get acquainted visit,” we will show them around to help make them familiar with our office and have them sit up in the chair for an examination with one of our friendly dentists. Your child may choose to sit in your lap, and that’s okay, too! Our goal is for them to be comfortable and relaxed. We will count their teeth, show them how to brush, and talk about how important it is to take care of their teeth. 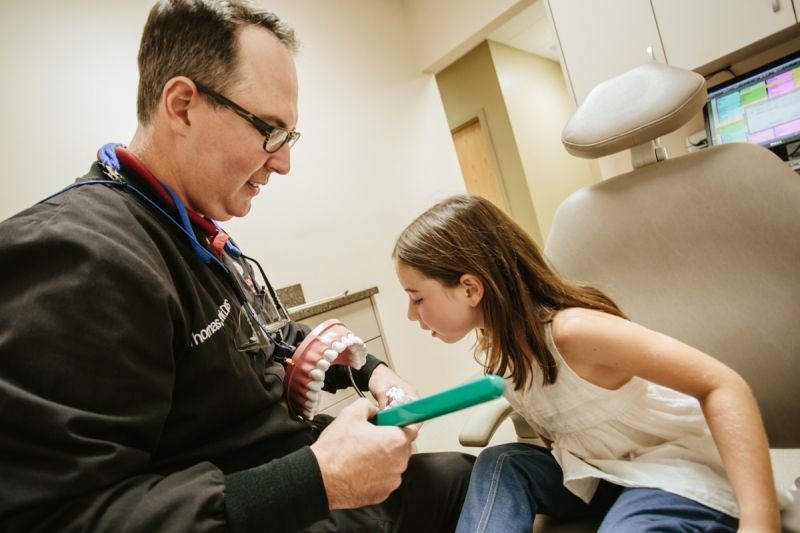 Our dentists, Dr. Thomas Pink, will also assess their oral health and can discuss with you any concerns with crowding, occlusion (bite), or risk of cavities to ensure they are developing appropriately. 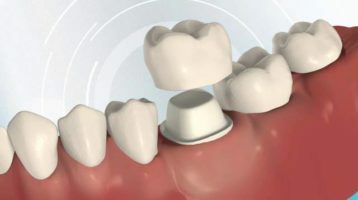 Sealants can last up to 10 years, but since they are a thin plastic coating it is possible that they can chip or break off. 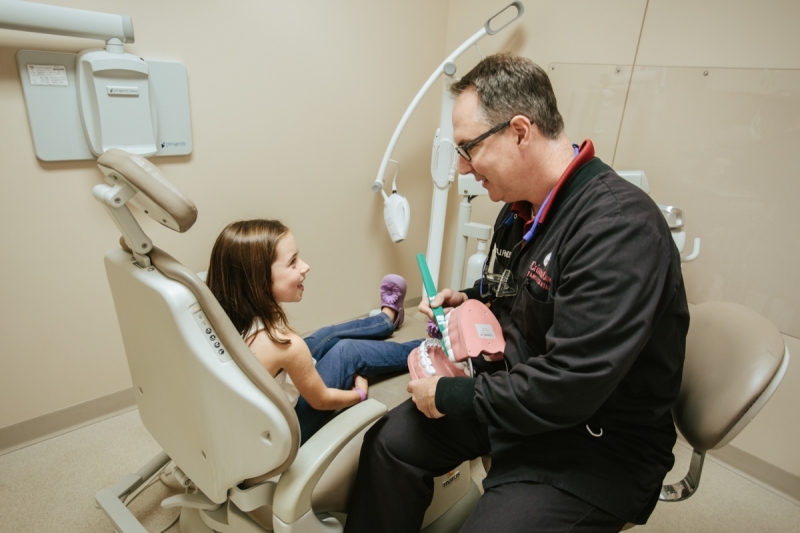 Dr. Thomas Pink and your hygienist will check them at your regular dental cleanings to make sure they are still in good shape. Watch Billy Blue Hair – Why Do I Have To Go To The Dentist? For questions about any of our services, contact our office at (763) 416-2006. Click here to request an appointment. 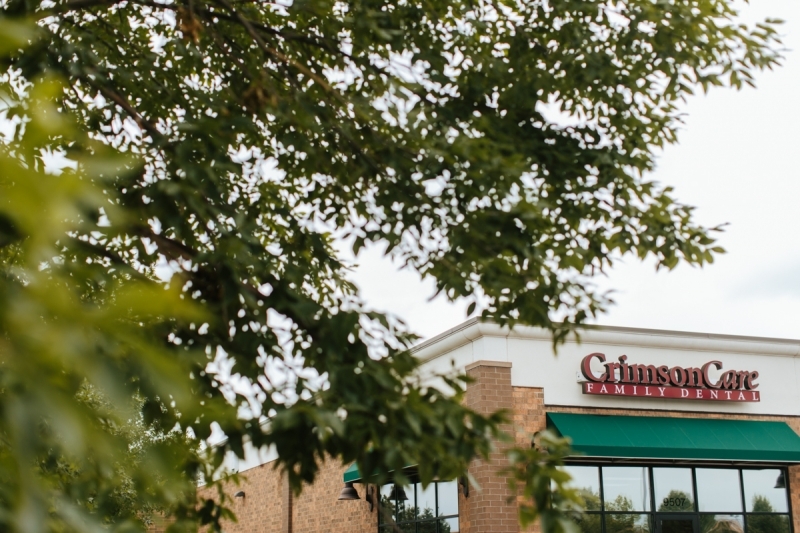 We offer convenient scheduling to cater to busy families like yours. One of our team members will happily help you!